Picture courtesy of our friend Nathan Jones. If you follow us on Instagram you already know that the Dirty Dish Club made a pilgrimage to Nebraska to witness the solar eclipse in totality. It was a quick, but absolutely amazing trip. 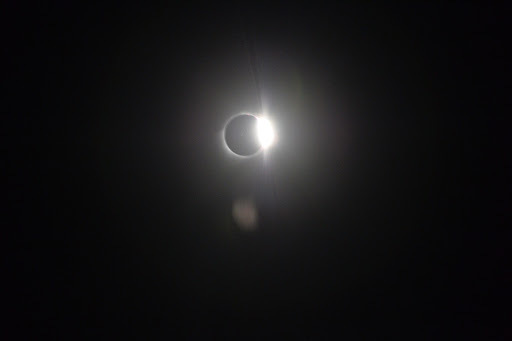 If you ever get a chance to witness a total eclipse we highly recommend it. Our preparation for the trip was a little bit like preparing for the apocalypse. We bought a paper road atlas in case the cell network was overloaded. We packed extra gasoline in case the gas stations ran out or we ran out while in a traffic jam. We also gathered enough food for a small army and filled every water bottle, plus our 5 gallon camping jug. As we planned out our food, Noel and I came to a difference of opinions on what kind of nuts we should bring. 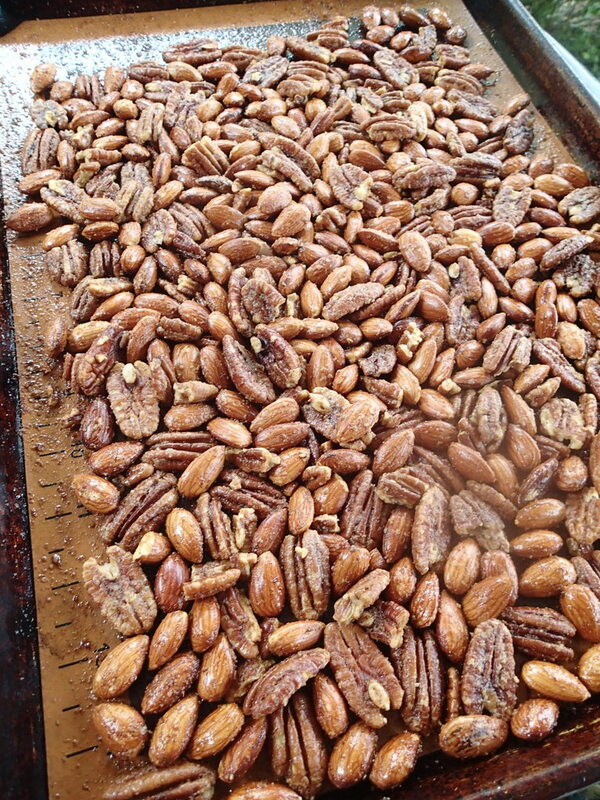 Noel voted for cinnamon spiced pecans, but I thought we already had too many sweet things on our list. Eventually he let me try a savory spiced pecan recipe and we were all won over by them. Friends that joined us on our pilgrimage even asked for the recipe. We went camping again the next weekend and made the recipe with half pecans and half almonds, both variations were delicious. 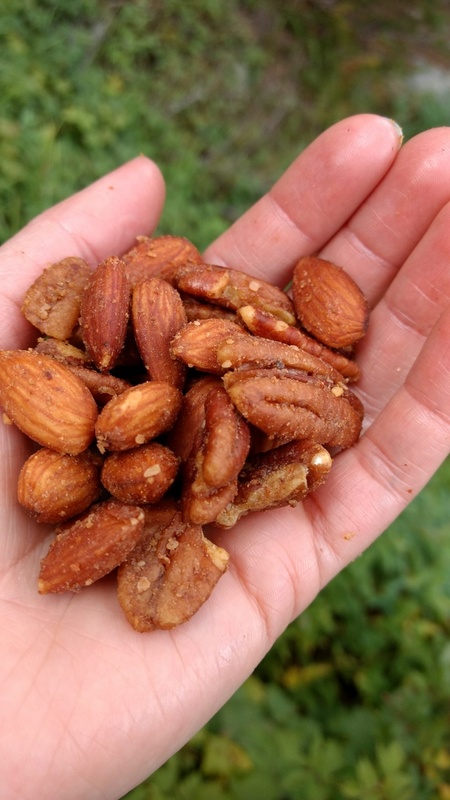 They’re easy to make and are a great trail food, road trip food, or everyday snack.